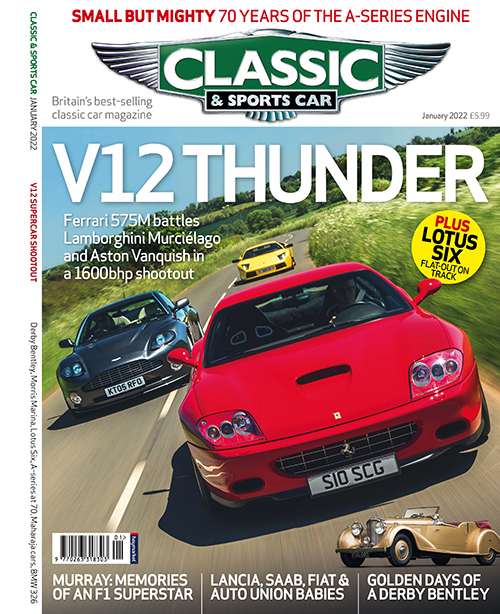 The world's best-selling classic car magazine, and the undisputed authority for anyone buying, owning, selling, maintaining or even just dreaming about classic cars. With comprehensive and entertaining coverage of mainstream classics to super exotica, every monthly issue also brings you the biggest and most respected marketplace of classic cars for sale, from everyday runners to multi-million pound exotica. Regular features include the trials and tribulations (and occasional triumphs) of the C&SC fleet, classics owned and maintained by the C&SC staff themselves, and test and reviews of all the latest workshop products and automobilia. A Classic & Sports Car magazine subscription saves you money on the shop price, ensures you never miss an issue and includes free delivery direct to your door. You can also include access to our digital edition with your print subscription, perfect for enjoying your favourite car magazine (and checking those for sale ads) on your smartphone or tablet.